A day after the release of much awaited teacher’s selection lists for various districts of the valley, Service Selection Board has cautioned people against 'Touts' and asked them to stay away from the people who are asking for money in the name of SSB. “So many groups and individuals are roaming around promising people selection against the payments of lakhs of rupees." SSRB Chairman Mohammad Afzal Bhat said, adding that the people should not fall pray to the designs of such nefarious and ill intentioned people. “I want to assure people that the selection for any post remains very fair and transparent, therefore they should not listen anyone who demands money for it," said Bhat. While admitting that some insiders of the recruiting agency might have been practicing some foul game in the past, Bhat vowed that a thorough clean up process in SSRB was on cards. "I have finalized the list of some people who need to be shown the door and you will see an overhauling of the SSRB in coming days," claimed SSRB Chairman, who took the reigns of board recently. He said that if any one has any complaint regarding the selection, they should contact Board authorities so that suspicions are removed . Bhat further said releasing the teacher list for various districts of the valley after the recent Judgement from State High Court was a challenging job, however, keeping the agony of the candidates in mind, the process was completed on war footing basis in just three days. 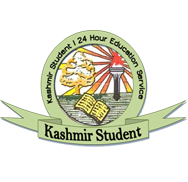 He, however, ruled out any tussle within SSRB over the compilation of the Teacher provisional list for Baramullah district and said that the list would be out by Saturday. Chairman also made it clear that the selected candidates do not fall in the new job policy. “They will enjoy the benefits of the old job policy because these were advertised in 2010," said Bhat. 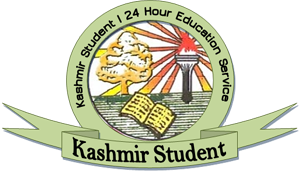 He further clarified that the delayed release of the teacher lists for various districts of valley would not have any impact on their seniority. “This is a district cadre post and Jammu province has nothing to do with it," chairman claimed.